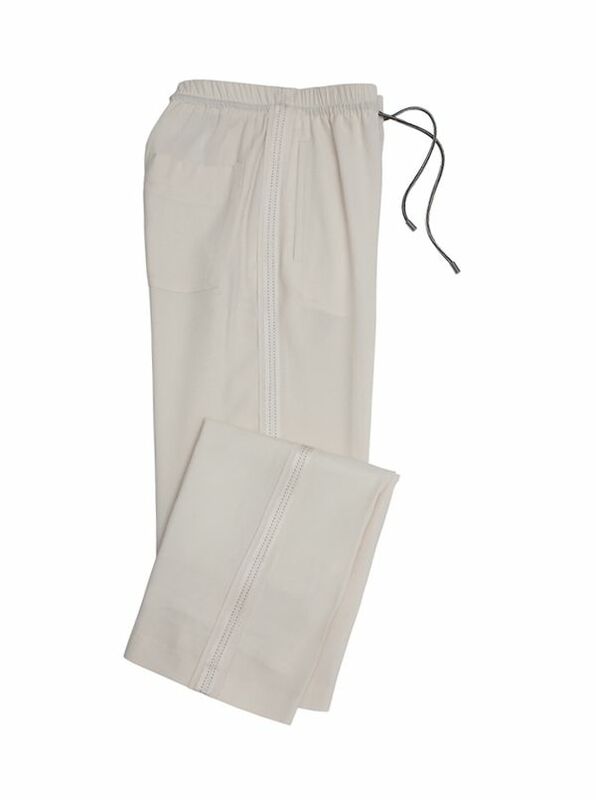 Satin Trimmed Drawstring Pants are generously cut for comfort. With four pockets, satin-trimmed raw edge side seams.Satin Trimmed Lounge Wear by Piazza Sempione is relaxed sportswear at its finest. Made in Italy of soft crepe acetate/viscose blend that drapes and fits beautifully.